University Police will hold town hall meetings on Oct. 12 and 13 on the Chicago campus for the community to learn about new security initiatives. The University increased security measures on Wednesday, following a series of robberies on the Chicago campus. Following a series of reported robberies on Northwestern’s Chicago campus, the University released a statement Wednesday detailing new security measures. The measures include increasing University Police staffing on the Chicago campus and working with the Chicago Police Department and Northwestern Memorial Hospital to maximize security and police presence, according to the release. 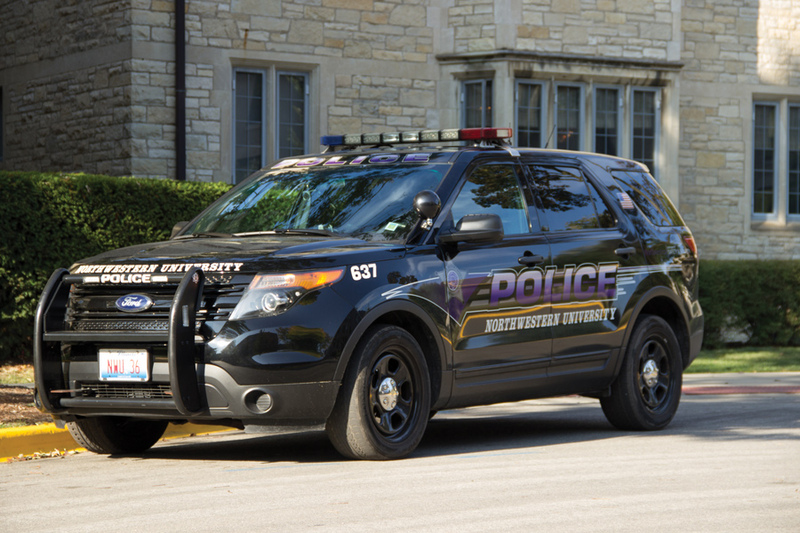 Despite the recent criminal activity, Northwestern chief of police Bruce Lewis told The Daily there is no indication that the campus is being targeted. “It’s hard to say absolutely why it’s occurring, other than to say there’s indications that these kinds of robberies are occurring not only on the campus, but off campus as well in the vicinity,” Lewis said. NU will also host town hall meetings Thursday and Friday on the Chicago campus for the community to learn about the new security measures, Lewis said. Lewis said the town halls will provide an update on the number of arrests and the progress of some of the investigations. He said NU and CPD have been working closely to investigate the crimes and that the organizations have always had a strong working relationship. One of the recent crimes involved a Northwestern law student and occurred Sunday on the Chicago campus, according to an email sent to members of the university. At least four individuals reportedly assaulted the student and stole his laptop and cellphone on the corner of Superior Street and Fairbanks Court. The student was treated at Northwestern Memorial for related injuries. CPD released photos and descriptions of the suspects Wednesday. CPD described the suspects as three black men with dark complexions — between the ages of 20 and 23 — standing 5-foot-8 to 6 feet, and one black woman with dark complexion of the same age and height ranges. The University’s alert said one of the men was 5-foot-4 and the other two men were about 5-foot-6. Lewis said police have not made any arrests in Sunday’s robbery or another one that occurred Tuesday. He added that UP and CPD have been successful in the past in collaborating on such investigations. NU is also trying to increase and enhance “visible security” on the Chicago campus to deter future acts, Lewis said. He said police would focus on parking garages, elevators and elevator banks to improve security. He said the town halls will educate the Chicago campus community about UP initiatives to make the campus safer. Lewis emphasized that students and staff should be aware when traveling around the Chicago campus, especially at night. He also urged people to report suspicious behavior.